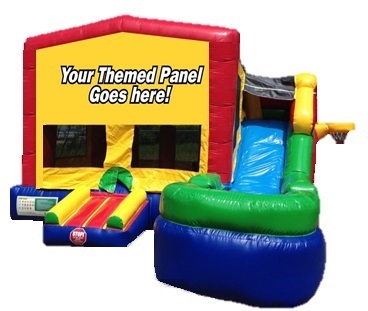 Our Themed Multi Combo unit is a perfect combination of play for your kids! 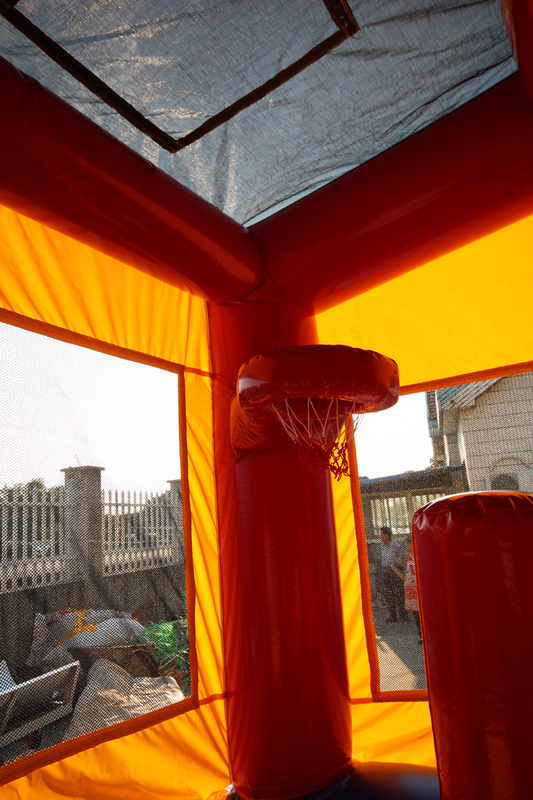 Your children will have a blast with this Giant Combo featuring a large jump area, climb, pop ups, huge slide, and two basketball nets! 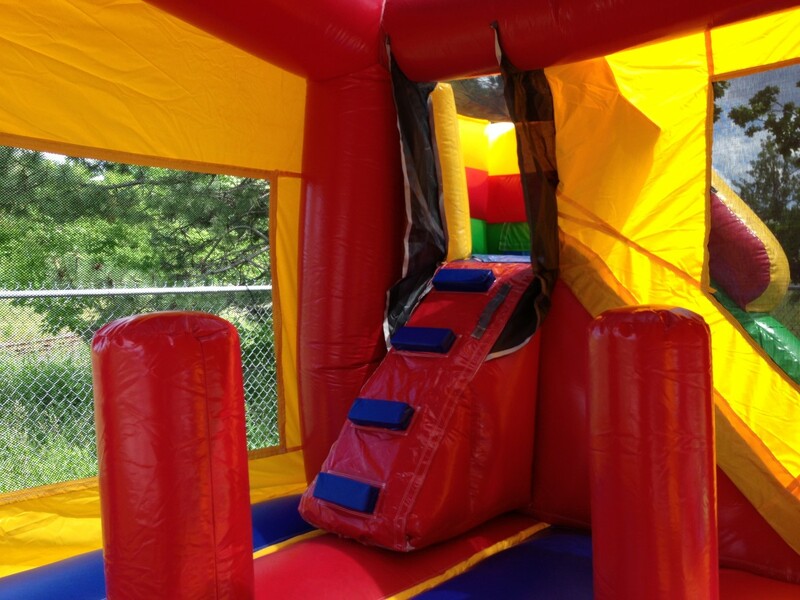 If you are worried about the kids sliding off the end of the slide, no worries! 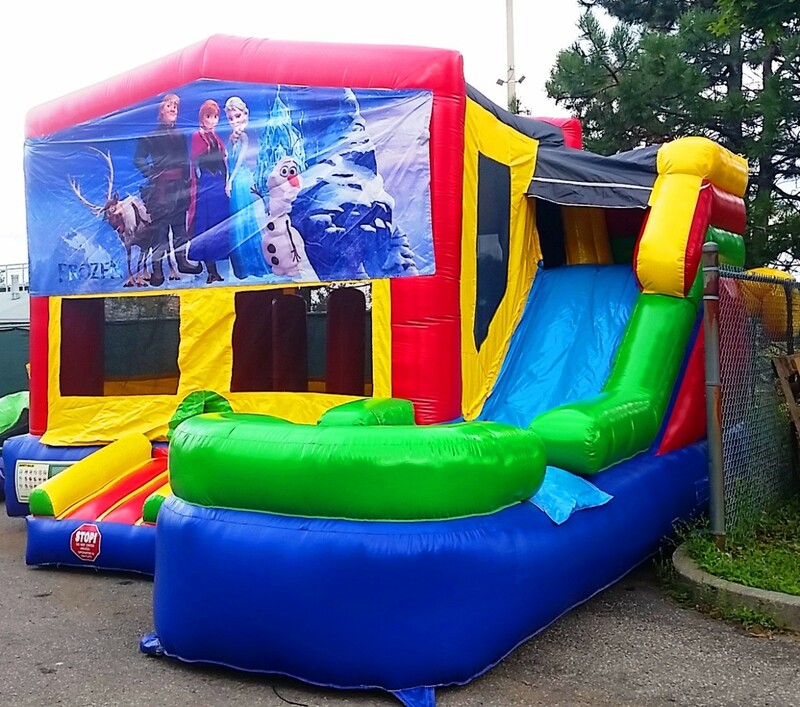 Our slide has a solid bumper to stop them from sliding onto the grass.